Carrot, Chickpea and Ginger Soup. I wanted something vibrant and tasty, yet comforting and familiar to ward off the chilly wintery weather today. Thoughts of carrot and coriander soup drifted through my memory when I remembered I had some very nice root ginger perched in the fridge. 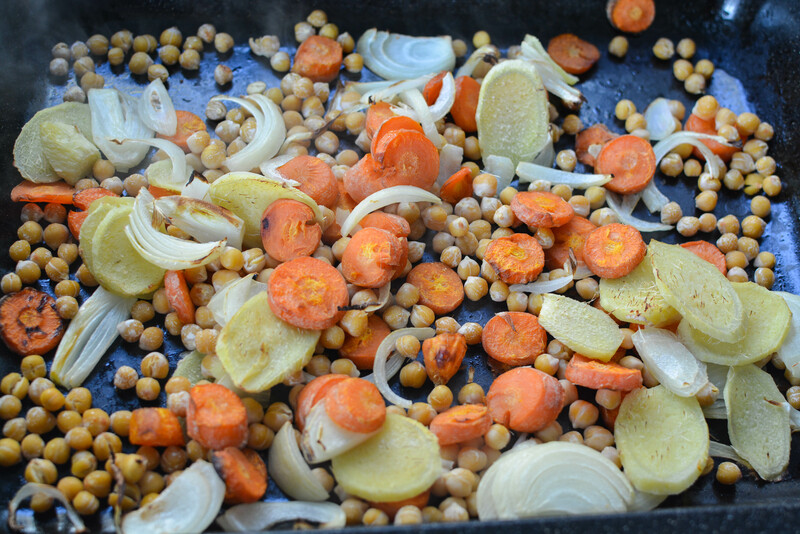 Firstly, I chopped four carrots and roasted them off with a spray of oil for twenty minutes or so, until they were just softened and then added a tin of drained chickpeas to add protein and texture, one small onion sliced and some discs of freshly peeled ginger, sprayed again with oil and returned to the oven for ten minutes or so. Meanwhile I prepped the salad cress, which basically means taking the scissors to the plastic box on the windowsill and made a stock out of a cube (chicken, but it could have been vegetable) and two pints of water. And then whizzed the contents of the oven with the stock using my stick blender until smooth, tasting for salt, it needed more than the stock cube provided and then ladled hot nutritious, comforting soup into my big bowl. 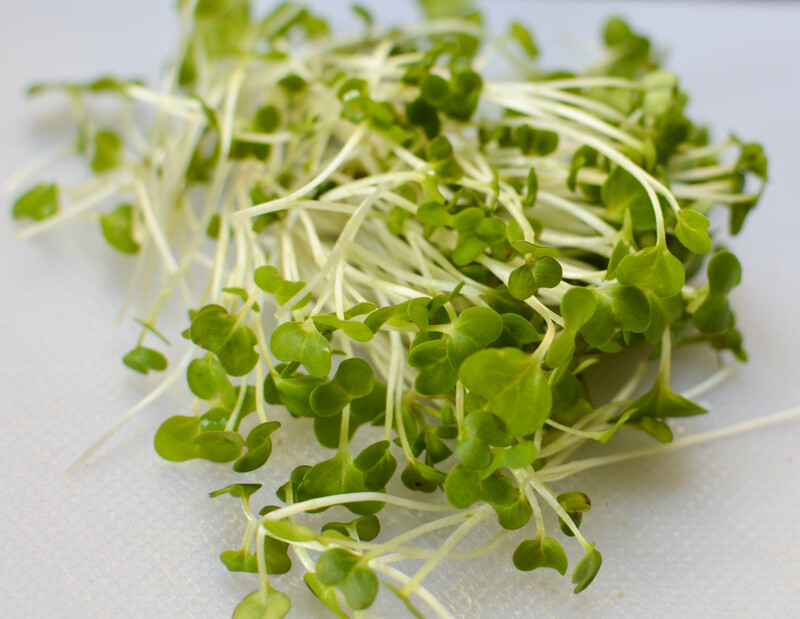 I garnished with the cress which added a fresh mustard flavour and the promise that winter will end and there will be spring growth, freshly ground black pepper and the lightest of swirls of sesame oil to finish off the oriental slant. 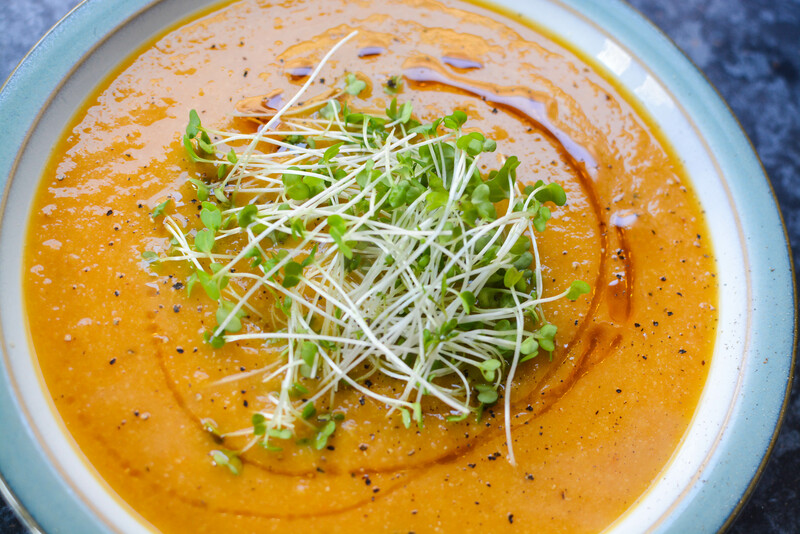 Soup, warm, and looking like a bowl of sunshine….delicious.